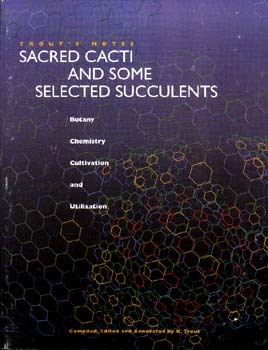 Trout's Notes - Sacred Cacti and some Selected Succulents --Botany, Chemistry, Cultivation and Utilization is one of the most comprehensive and exhaustive studies of mescaline and mescaline-producing plants ever written. This book is intended for those interested in the sacramental use of plants. The Original idea. Knowledge of God. This is Thee MetaSin. Words of warning are few, dis-Claimers, many.